Crewe will receive a six-figure compensation fee for Max Clayton even if the out-of-contract striker joins a foreign club, reports BBC Radio Stoke. The 20-year-old is thought to have been on trial with Danish top-flight side FC Midtjylland in his latest effort to find a club. "There's a ruling on age and how long they've been at the club and an amount is calculated," boss Steve Davis said. "There's a decent amount of money in compensation. He won't go for nothing." Clayton, who has been with the League One outfit his whole career, has been trying to leave Gresty Road having turned down the club's offer of a new three-year contract. Future: Turns down a new three-year contract in August 2013 and sees out his deal before unsuccessful trial spells with Sunderland, Wolves and Bolton at the start of the 2014-15 season. 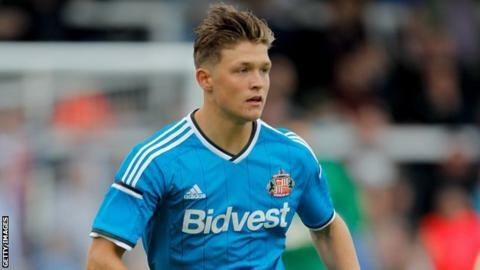 After a potential move to Premier League Sunderland fell through, Clayton began another trial spell with Championship Wolves. When a contract at Molineux failed to materialise, he moved on to Bolton in the hope that it would result in a deal. "The last I heard he was at Bolton," Davis added to BBC Radio Stoke. "They weren't going to take him but, from then on, I'm not too sure where he's been. "There were rumours that he's gone abroad - that's a possibility." Although Davis does not know exactly where Clayton is, the Alex boss is adamant any move abroad would not leave the club out-of-pocket in either the short or long term. "The ruling, although it's a bit lower than over here, is that we will get some compensation," he said. "It doesn't meet out valuation but it's something and there's a sell-on clause that'll come with that."